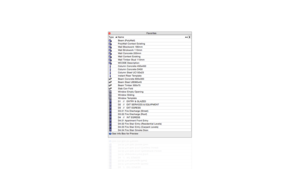 Organising and automating ARCHICAD, since 2007. 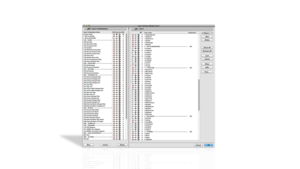 Re-engineered for ARCHICAD 22.
mACT simplifies your interaction with ARCHICAD. It provides the foundation for your office standards and a documented workflow designed by people with a wealth of practical experience. Being new to ARCHICAD and having to set up a new project file can be a very daunting task indeed. Gain flexibility by having any person in your office join a project and immediately know their way around. Save time with the automated mACT setup. 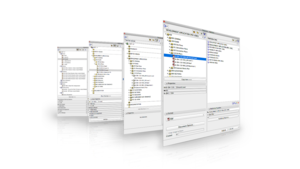 mACT sets a comprehensive office standard with a set file structure and repeatable project integrity. Gain certainty that when it’s crunch time there’s less room for error and less need for users to spend time inventing their own settings. With less potential for errors there will be more certainty that what rolls out of the printer will conform to your standards and expectations. See the productivity increase across your office. mACT – the only ARCHICAD template providing a fluid workflow plus advanced presets. It will reduce errors and increase your project certainty. 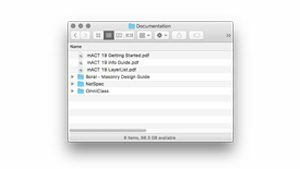 mACT was built for ARCHICAD and works equally well on Mac or PC. Custom work environment, layer combinations, pensets, viewmap and layout book. Smart objects, library parts, building materials, composites and much more. At only $699.00 it’s only 5% of the cost of an ARCHICAD license – which in most countries is less than you paid in tax for ARCHICAD. Our efficient feature set will see you re-coup your costs in no time. mACT – the only ARCHICAD template providing a fluid workflow plus advanced presets. 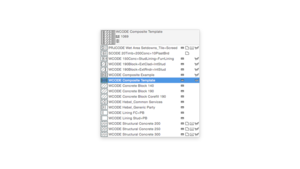 Whether you’re new to ARCHICAD or a seasoned user, mACT’s features will save you time. mACT is developed by professionals with a wealth of practical architectural experience. mACT has been continually developed and improved since 2007. We build upon ARCHICAD’s improvements, incorporate our users’ feedback and prove it against our own experiences in live project environments. mACT’s value far outweighs its price, and is a small investment into the productivity of your office. New to mACT 22, these great new tools are available free with every purchase of mACT22 or you can purchase individually. The architectural tree object you’ve been waiting for. The mACT Smart Tree features linked projections for Plan, Section / Elevation & 3d Views (incl. Shadows) and can easily be expanded to accommodate additional styles. 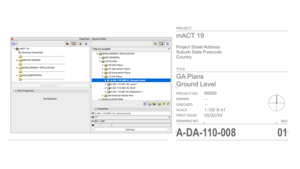 Based on ARCHICADs Revision system, the mACT Document Transmittal object collates all relevant data and presents it in a logical and easily maintained form. The mACT Universal Label is the Swiss Army Knife of Labels. It displays any data from all Elements in various combinations, with a high level of graphical control. The architectural tree object you’ve been waiting for. The mACT Smart Tree features linked projections for Plan, Section / Elevation & 3d Views (incl. Shadows) and can easily expanded to accommodate additional styles. The mACT Universal Label is the Swiss Army Knife of Labels. It displays any data from all Elements in various combinations, with a high level of graphical control. Also included free are our mACT Wall labels and mACT Custom graphic label. In addition to these great new tools, every copy of mACT22 contains all these fantastic features. Consultant Specific Pen Sets: Get a clear distinction between your model and external drawings placed on stories by overriding their pen set with the associated mACT reference trade pen sets. New Revision & Transmittal: As an alternative to ArchiCAD’s revision system, the mACT system integrates a manual transmittal, autotext and publisher setups to add revision code to published files. 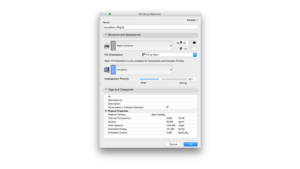 Easily manage revisions via included layout schedule. mACT Toolbar: The Work Environment includes an updated mACT Toolbar to organise the most used commands by topic in drop-down menus. Integrated Property Manager: add detailed information for finishes, fixtures & fittings schedules. Pen-by-function system: expanded to include pens dedicated to zone types, company colours, FRL, and mark-up. mACT comes with Work Environment presets for various screen sizes, incorporating a rationalised and extended list of Shortcuts for most used Tools and Commands. Favorites illustrate common element settings and form the basis for the development of specific office standards to guarantee continuity. 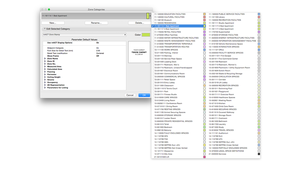 To facilitate your workflow mACT includes a fully organised and automated Organiser: the View Map, Layout Book and Publisher are pre-populated according to the typical project stages and packages. 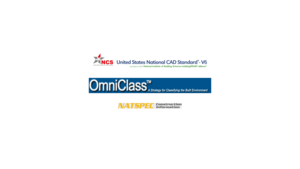 To maximise the potential of the 3d / virtual building model mACT contains a comprehensive layer list that is organised around NATSPEC categories. mACT includes a comprehensive list of Building Materials, coordinated with corresponding Surfaces and Fills. A robust system of composites which change appearance of composites across the various views and drawing types. 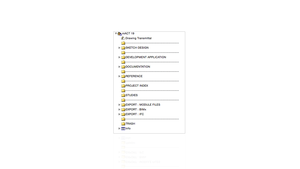 Predefined View Map folder structure for each project phase and drawing type within that phase. Individual views are already defined for common drawing types such as General Plans, Sections, Elevations, Ceiling Plans, Structural Plans, etc. mACT is based on industry standards to facilitate collaboration with external parties and future-proof the template and your projects. It incorporates both Australian and International standards where applicable. mACT’s Zone Categories are based on the OmniCLASS system, which is indefinitely scalable and ensures compliance with international Standards. mACT’s pen-by-function system allows fine grain control over all Elements graphic representation. This also facilitates identification of various elements whilst modelling, e.g. all structural elements are displayed in shades of red vs. interior elements in shades of brown. 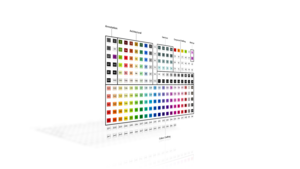 A variety of pen sets is included in mACT enabling full control over the graphical output at all scales. 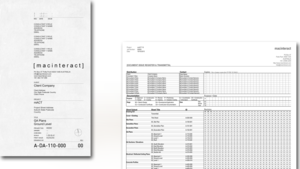 mACT includes a standard Presentation and Documentation Titleblock (A3 – A0 with folding marks) accompanied by a traditional Transmittal. The mACT drawing numbering system is based on USNCS / AIA, thus providing an easily scalable system to accommodate projects of all sizes as well as integration with most Autodesk-based consultants. 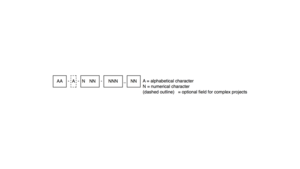 A simple but straightforward approach to Revision management, by appending Number / Character directly to the Sheet Number. mACT features a reference project demonstrating best practices and various drafting and modelling techniques which can be used for training purposes. mACT includes our enhanced Model View Options sub-menu which facilitates your control of object, label and zone display based on project phases. 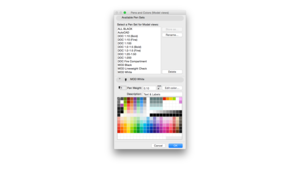 The mACT MVO’s for example also enable global adjustments of specific Label sizes and the optional display of a placement guide / help overlay for various library parts. Please note the BIMx Example Project is available in two versions: as simple BIMx 3D model and as BIMx Hypermodel, i.e. including referenced example drawings. They are both provided for free, to get them simply add to cart and proceed through checkout – you will not be charged. To view the BIMx model you can either use BIMx on your Computer or iOS device – please note the BIMx Hypermodel requires an In-App Purchase to unlock the drawings. mACT comes with a complete range of preset Layer Combinations categorised along the USNCS / AIA Drawing Numbering System, which can easily be adjusted to suit Projects of all sizes. mACT features a built in structure for easy access to frequently used reference materials, such as hardware specification, NATSPEC or even your complete office BIM manual. 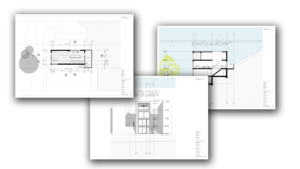 Pre-defined Drawing types such as sections, elevations and details are placed ready to be adjusted to suit individual projects and quickly generate a base drawing set. mACT is licensed per purchaser – please also refer to our EULA here. Is mACT a stand-alone or subscription license? mACT is not subscription-based. You purchase a once-off licence to use the mACT framework. Each major version (eg mACT 18 to mACT 19) requires a new, corresponding licence purchase. What is included with mACT? mACT includes everything shown in the feature list above as well as a detailed Getting Started Guide, outlining the underlying principles and how to best use mACT. What else do I need to adjust to start working with mACT? Nothing. mACT works out of the box. However you can use it also as a basis and customise mACT to your office style, i.e. add your custom title block, adapt favourites to use your office font. We can also do this for you. Please contact us here for a quote. Does mACT only work on macOS? mACT works as well on Windows based PCs as it does on Apple macOS. mACT is sold as is. However we listen and encourage feedback from our clients and release updates to mACT regularly. By the way, we are also an Apple-focused IT support provider based in Sydney, Australia enabling us to make all your systems work for you – please contact us if you are interested. What if I need support in adjusting mACT to my specific needs? We can assist you customising mACT at hourly rates – for a proposal please contact us directly via email and include some details what you need done. mACT is based on the metric system. How do I change it to imperial? File > Open > and browse to your copy of mACT (mACT 18.tpl) and open it. Once all is set go File > Save so that all future projects started from the template will be using your new settings. We have used many templates across various practices. As trained architects and experienced ARCHICAD users, we think that ‘template’ is not an adequate word to describe mACT as it implies a one fits all approach and solution. In our experience, this is an illusion: there are far too many different project types, usage scenarios and individual preferences at play. 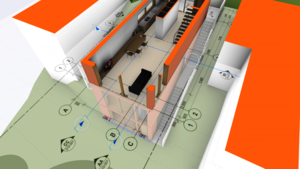 “Framework”, for us, best describes what mACT is all about – mACT will give you a solid skeleton to guide you through ARCHICAD without getting in the way as your business and projects grow. It also directly relates to the best practice workflows and modelling techniques explained in our Field Guides for ARCHICAD. mACT represents the distillation of our combined 30+ years experience integrating practice and technology in some of Australia’s most successful architectural practices. To meet the team behind mACT please head over to macinteract. macinteract is a Sydney, Australia-based company providing Apple-based IT services to creative professionals. macinteract is comprised of real people. We are a group of architects and designers with extensive international professional experience using, ARCHICAD, Vectorworks and SketchUp, mainly on Apple OSX alongside several professional rendering and other creative software packages. Why do you offer mACT, the Objects and Field Guides? In our experience, ARCHICAD doesn’t just work ‘out of the box’. In fact, one major benefit ofARCHICAD over other BIM software is that it can accommodate your specific requirements if you set it up correctly. 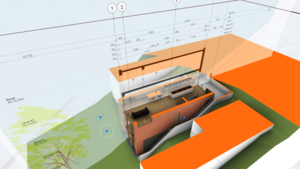 Additionally, Graphisoft developsARCHICAD for users worldwide, thus local standards & differences in construction techniques require adjustments. As we have been teaching, using and adjustingARCHICAD for a very long time, we are convinced other users will benefit from what we have developed over the years. 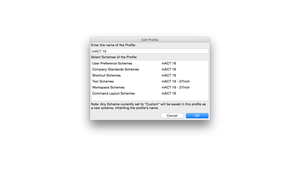 What happens with the next ARCHICAD version? Graphisoft constantly improves ARCHICAD, with new features being released in a new version every year. The same applies to mACT, which constantly gets developed based on our users feedback and our own experiences – please have a look out our release notes for the latest improvements. Why does mACT cost what it costs? mACT is an investment into the productivity of your office and has been constantly developed and improved since 2006. In other words, its value exceeds its price by far. To give you some figures mACT’s price is only approx. 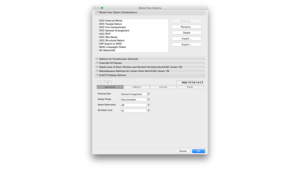 5% of the cost of an ARCHICAD license and is less than you paid in tax for ARCHICAD. We reckon this is exceptional value. Revision letter/ number automatically included in digital file name. ✓ Indicates new or updated feature. * mACT is licensed per purchaser – please also refer to our EULA here. mACT is not subscription-based. You purchase a once-off licence to use the mACT framework. Each major version (eg mACT 18 to mACT 19) requires a new, corresponding licence purchase.